Ty Cobb ranks, along with Ted Williams, as among the greatest pure hitters in baseball history. 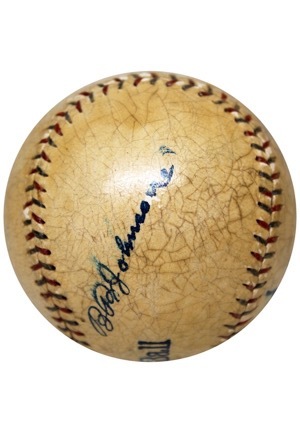 He established himself as one of the game's fiercest hitters, pioneering the "inside" bunting style and hitting the ball to the gaps for extra bases. 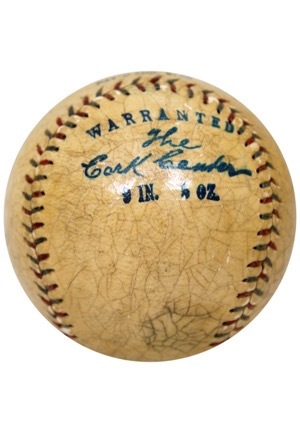 His lifetime .367 batting average is still a record, along with 89 more that he held at the time of his retirement in 1926. 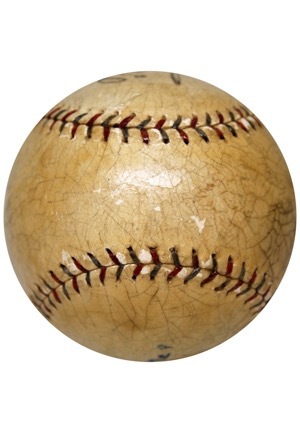 He won the batting title at 20 years old in 1927, the youngest player ever to accomplish that feat and the first of nine in a row. He was a true legend and pioneer of the game, and was one of five players inducted in Cooperstown's first class. 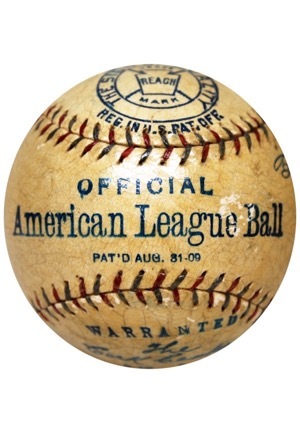 “REACH” manufactured OAL baseball. 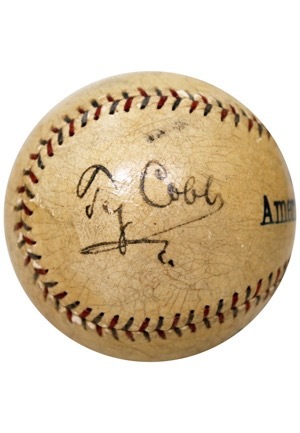 Cobb signed the east panel in black ink and in our opinion, rates a 7 overall. 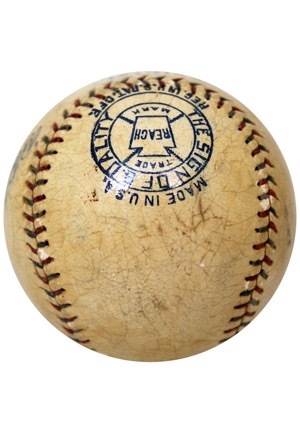 The baseball is in EX condition with an even coating of shellac. Accompanied by a Full JSA LOA and a PSA/DNA LOA.